Welcome to Fujisawa Academy—an educational institution where nothing is as it seems and every pupil hides a secret. Having enrolled as a transfer student, everything feels pleasantly familiar. The pupils are friendly, the staff attentive. All the ingredients for a successful academic career. But you’re not here for a quiet life. Having made a pact with Mon-chan, a sarcastic demon fox, you wield the power of Kotodama – a means of coercing the truth from those who seek to lie to you. It’s not a power to be used lightly. Tasked with infiltrating the secretive Fujisawa Academy it soon becomes apparent that uncovering the sinister goings-on behind the seemingly normal façade may give you more than you bargained for. The upcoming Kotodama: The 7 Mysteries of Fujisawa release date is May 31, 2019 in the UK and the US. 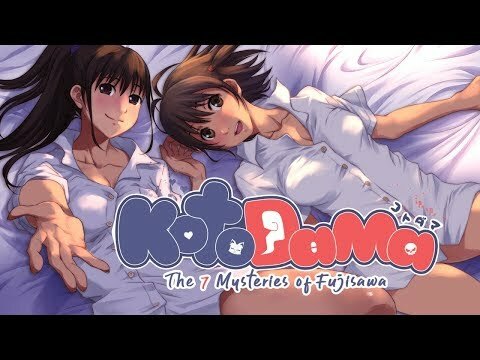 Notify me when Kotodama: The 7 Mysteries of Fujisawa is available.